avoncallingu and GoJays like this. The leaves look geranium-y to me. Crush one between your fingers and give a sniff - they have a very distinctive aroma, not altogether unpleasant, IMO. avoncallingu, barbis9, seylz_gurl and 1 others like this. I have a very similar looking plant in my garden, though I'm pretty sure mine is a weed. 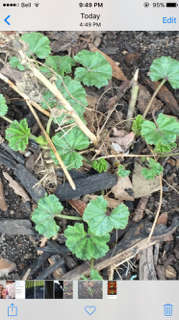 Use google images to search for mallow weed. You'll definitely recognize it when you see the flowers. On the bright side, it's edible, but a pain to pull out when it's any larger than what you see at the moment. bluerose, avoncallingu and CpnAimsey like this. avoncallingu and CpnAimsey like this. ROMEO, avoncallingu and CpnAimsey like this. I disagree on the creeping Charlie call-stems look too firm and straight (we've had this grow in crevices and boy can those stems weave and bend in tight spaces). Believe OP has a flower plant on the way. avoncallingu, GoJays and CpnAimsey like this. 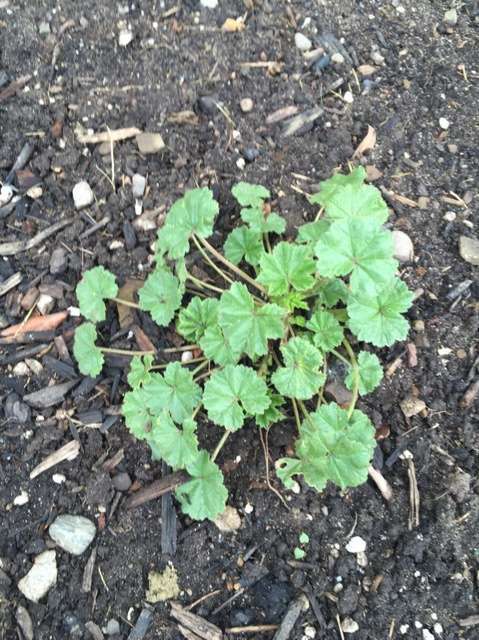 I think it's a geranium. Newfiescreech, avoncallingu and CpnAimsey like this. what kind of gerenium did you plant on this spot, was it perennial in your area ? Last edited by Mia001; Sat, May 14th, 2016 at 04:03 PM. avoncallingu, Ciel and CpnAimsey like this. Thanks for all your responses!! Im gonna pull it and put it in a pot and see what happens... Will post an update in a couple of weeks!!! avoncallingu, Ciel and samm07 like this. I was going through my recipe pages from Food & Drink and came across the pic of Wild Ginger (in the foraging article from Fall 2015)-about same size and colour of leaves but it has a distinctive quilted design on the leaves not shown in your pic. Think you can see a flower in your future! Mia001, avoncallingu and CpnAimsey like this. Thanks for the update! 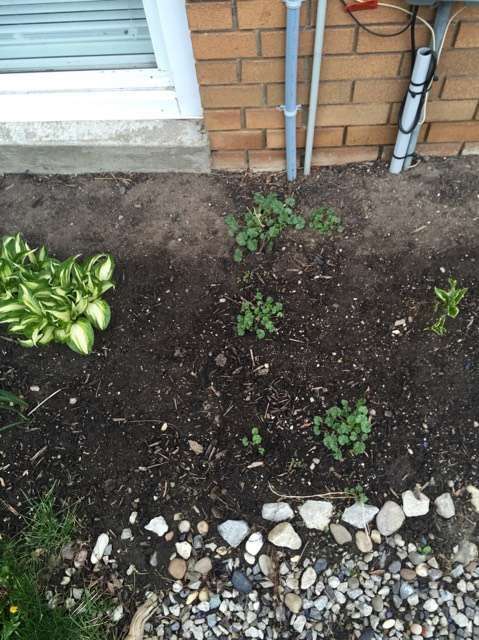 I knew it looked way too much like the weeds in my yard. The first year we moved into the house, I left them all, thinking we had geranium all over the place. Now I take them out with the dandelions! What, no mallow tea making? Those tisanes cost $ at the store. Guess it's not the right mallow to make marshmallows with. Some SCers had winter issues with coughing/mucus/etc. This plant might be gold for the next round. avoncallingu, tjthemanto and CpnAimsey like this. 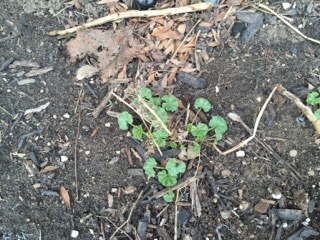 Could be Clover too if its not Creeping Charlie. They kind of look like Creeping Charlie. Last edited by tjthemanto; Fri, Jun 3rd, 2016 at 06:16 PM.